For convenience, directions to our dental surgery from Harold Hill are below. 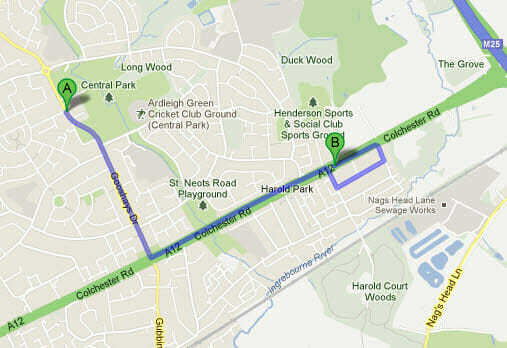 The Winning Smiles surgery is 6 minutes from Harold Hill, just along the A12, there is parking at the clinic. 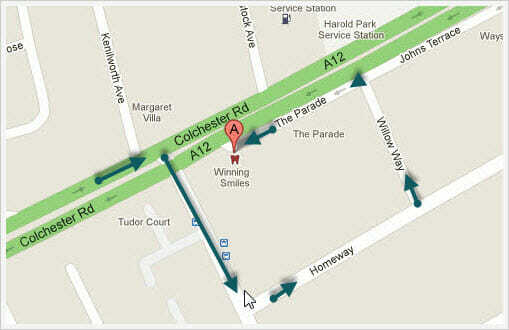 As you come along the A12, there is a right hand turn filter lane with traffic lights, into Harold Court road. Then take the first left, first left and first left again into the parade. Follow the row of shops, and we are the last building on the left.